Solane, the country’s leading LPG solutions provider, recently held firefighting training sessions for its bulk and commercial customers at its LPG plants in San Fernando, Pampanga and Canlubang, Laguna. The event aimed to educate customers on fire prevention awareness, proper use and handling of fire extinguishers, LPG storage and handling,and standard operating procedures in the prevention and management of possible fire-related activities. Supported by the local Bureau of Fire Protection (BFP), the fire fighting training programs are implemented and conducted continuously as part of Solane’s commitment to safety. 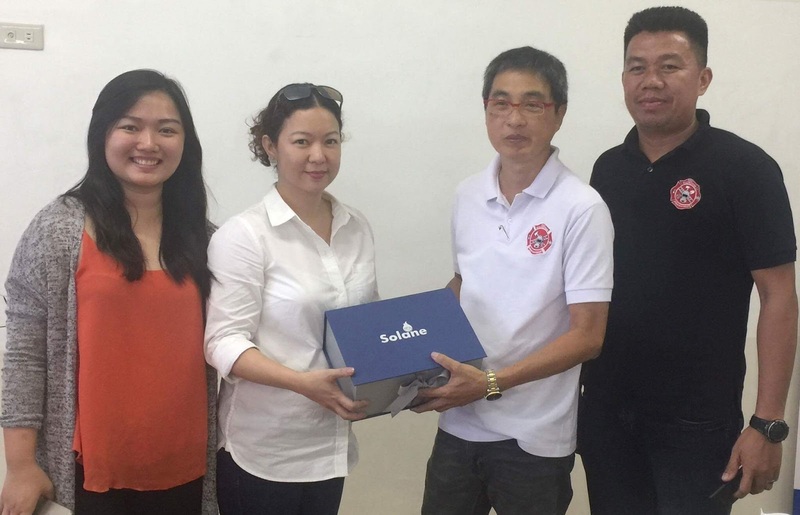 Photo shows ILC bulk account manager Kaiza Yu and industrial sales head Elma Revillame (leftmost and second from left) handing a token of appreciation to David Chung of D & L Industries and fire safety inspector Jhun Esto (second from right and rightmost).